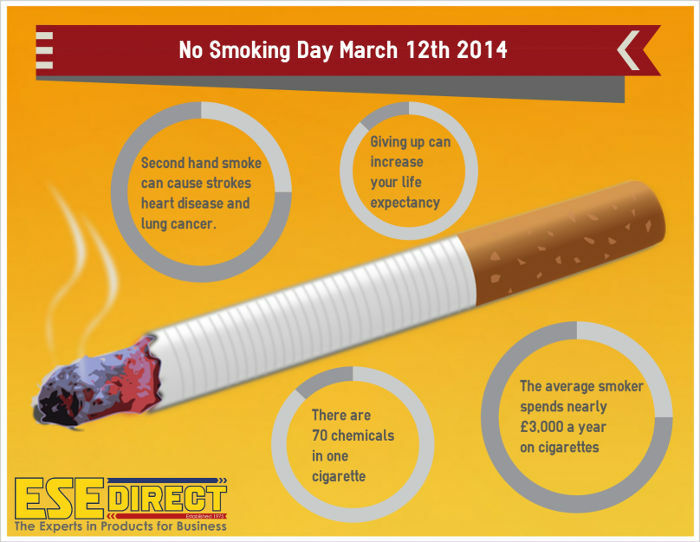 At ESE Direct we will be giving away No Smoking signs to the first 50 customers who order online on No Smoking Day March 12th 2014. No Smoking Day is approaching fast, so we thought we would have a look at the facts and figures of how giving up smoking could help you not only health wise but financially too, and you may be surprised at what you read. What can you save when you give up smoking? Let’s start with how much you could save financially; you will be surprised at how much you can money you could recoup in just a year. If you'd put that money aside, you could afford a very nice holiday in the sun somewhere. What are you actually putting into your body when you are smoking? These are just fancy words to most people, so I will go into a bit more detail about each one. - this causes cancer and damages the heart and blood vessels, what makes this dangerous is that it can accumulate in the body and build up to higher concentrations over the months and years. - a chemical most people have heard of as it is used to preserve dead bodies as well as manufacture other chemicals. 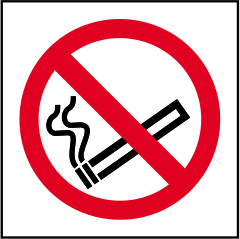 It is also known to cause cancer, and even small amounts of second hand smoke can increase your lifetime risk of cancer. - this is one of the most prolific chemicals you will find in cigarette smoke, it belongs to the same group of chemicals as formaldehyde. Acrolein is a DNA damaging chemical and not only does it stop cells repairing DNA damage, it also kills the hairs (cilia) that clean your lungs of toxins. - this is a chemical that is found in many household cleaning products. Some studies have also shown that it also enhances the addictive power of nicotine by changing it into a gas which is more easily absorbed into the lungs and bloodstream. It also kills cilia. - This is the common form of Polonium which is a rare radioactive element. It emits damaging radiation called alpha-radiation, this is usually blocked by your layers of skin but because it is being smoked and inhaled traces of polonium are being deposited in the airways and delivering radiation to the surrounding cells. This is the same amount of radiation as someone having 300 chest x-rays a year. It is pretty sobering stuff when you realise the chemicals you are putting into your body, and these are just a handful of chemicals you will find in your cigarette. If you are working towards a healthier lifestyle then this is most certainly undoing all your good work. Last but definitely by no means least, are the health benefits of giving up smoking. We know it can increase your life span but what else can improve when you stop lighting up. Your stress levels will be lower once you have given up smoking. This is because the nicotine addiction that you experience when you are smoking causes ‘withdrawal’ symptoms between cigarettes so another cigarette only temporarily delays the stress rather than curing. The improved levels of oxygen after you quit means you can experience better mental wellbeing and higher concentration. 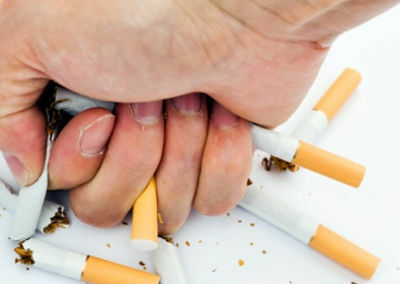 Once you have given up smoking you will notice increased ease in breathing and less coughing. Since lung capacity decreases with age, making the most of your maximum lung capacity can mean the difference between a happy long retirement and a wheezy struggle to move around. You will find you can enjoy food and drink a lot more once you have given up smoking. The toxins in cigarette smoke decrease your taste buds sensitivity, but as your body recovers from the cigarettes you will find the effects are reversed and your sense of taste returns. And obviously, giving up smoking doesn’t just benefit you, but you friends and family too.